Event host Dominic Moore, along with other NHLPA members and hockey fans put their ping-pong skills to the test on Thursday night to raise funds for concussion and cancer research. Hockey fans and NHL players enjoyed a fun, and unique way to spend a warm summer evening on Thursday, July 25th by attending a charity ping-pong event in Toronto, ON. 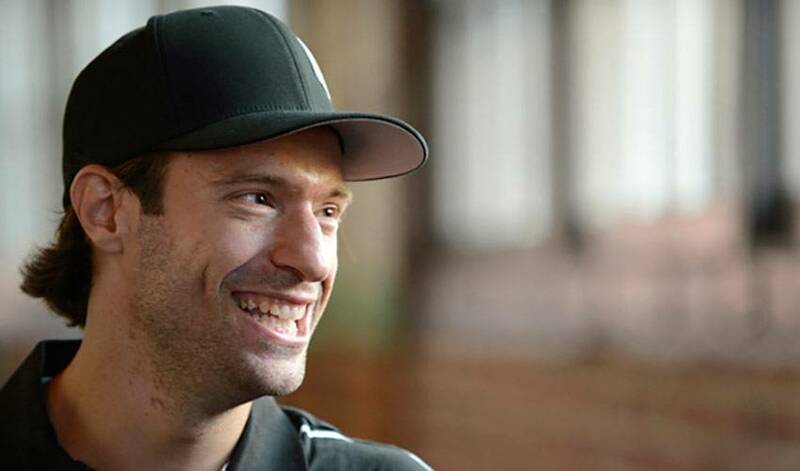 NHLPA members and hockey fans put their ping-pong skills to the test for charity at night to raise funds for concussion and research into rare cancers – two causes near and dear to event creator Dominic Moore’s heart. The second annual Smashfest event featured an impressive group of players, both past and present, including: Dominic Moore, Logan Couture, George Parros, Martin St. Louis, Zenon Konopka, Phil Kessel, Matt Stajan, David Clarkson, Zac Rinaldo, Brendan Smith, Kyle Quincey, Cody Hodgson, Chris Tanev, Nick Kypreos, Rob Zamuner, Joel Ward, Jeff Skinner, Kevin Westgarth, Stephane Veilleux, Steve Montador, Jeff O’Neill, and Kevin Weekes. While the event took place during the off-season, competition was still fierce at the ping-pong tables, with players and fans taking part in the action. The MC for the evening was Ken Crosina, a TSN 1050 Radio tennis analyst and former top national tennis player, who provided some great commentary to the crowd throughout the evening. In the doubles tournament, which included both players and fans, Stephane Veilleux’s team won the title. A memorable finals match in the players singles tournament ended with Stephane Veilleux defeating Martin St. Louis in a no mercy match giving Veilleux the championship – and bragging rights – for the year. On top of all the planned events of the night, a few bonus guests dropped-by to check-out the festivities, including: Canadian tennis legend Daniel Nestor and former Toronto Blue Jays outfielder Devon White. Throughout the night, those in attendance had a chance to bid on live and silent auction items, enjoy some food and beverage, socialize, and watch a bit of a ping-pong. Over 600 people attended the event, which included 25 current and former NHL players, fans and over 40 credentialed media. When the paddles were put to rest, more than $100,000 was raised for The Katie Moore Foundation, which was established in honour of Dominic’s late wife, Katie, and various brain injury concussion research foundations. Very excited for @mooredom Smashfest! Just hoping not to finish last!